There are media reports that some black-hearted merchants use iridium so that 20 grams of gold can be processed into 25 grams. Iridium is not only similar to gold in element attributes but also cheap. If you add 5 grams of iridium to 20 grams of gold, you can make a profit of 600 dollars. What kind of metal is Iridium? What can people do with Iridium? Iridium is a platinum metal element with atomic number 77 and atomic weight of 192.22 in the periodic table. The content of iridium in the earth's crust is one millionth and is often scattered with the platinum elements in alluvial deposits and ore deposits. Platinum group metals are rare and valuable, and people have always attached importance to their recycling. Waste catalyst, waste electrical components, broken utensils containing platinum, waste electroplating bath, waste materials of jewelry factory, etc., can be used to recover platinum metals. Iridium powder can be obtained in the residue of lead, rhodium, iridium, osmium, and ruthenium, through a series of leaching, calcining, melting, distillation and dissolution. The density of iridium is 22.65 grams per cubic centimeter, which is the densest of the known elements. Iridium has the high melting point (2454 ℃), so the iridium products can be used at high temperatures (range for 21 ~ 2200 ℃); but it's very plastic at low temperature. Iridium is also the most corrosion-resistant metal, and the general caustic cannot corrode iridium. The compact iridium is insoluble in all mineral acids and is not etched by other metal melts. Like other platinum metal alloys, iridium alloy can adsorb organic matter and can be used as the catalyst material. Iridium is widely used in aerospace, pharmaceutical, and automotive industries because of its high melting point and strong corrosion resistance. The earliest application of iridium was as a pen tip material, and it was applied to the injection needle, balance blade, compass support and electrical contact later. Laboratory utensils made of platinum-iridium alloys, such as the crucible, electrode, resistance wire, etc., are required for chemical laboratory. Iridium crucible can be used to grow refractory oxide crystals, which can work for thousands of hours at 2100 ~ 2200 hours. 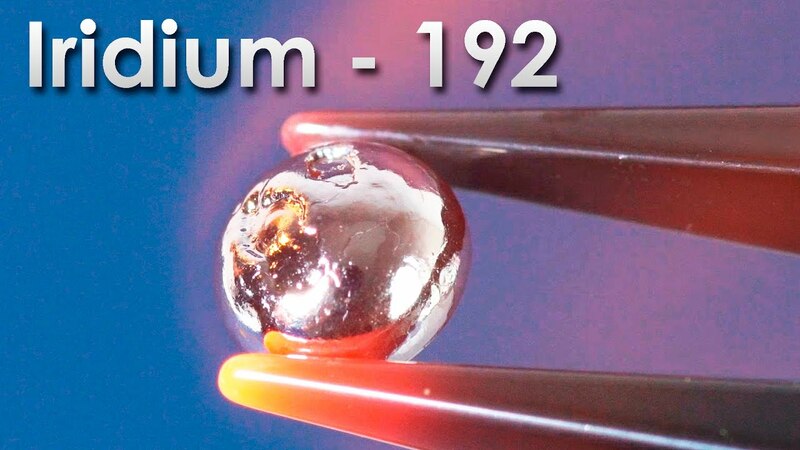 Iridium can be used as a container for radioactive heat sources. Iridium oxide film is a promising color material. Ir192 is a gamma-ray source that can be used for nondestructive testing and radiochemotherapy. Previous: What Are the Industrial Applications of Molybdenum?